In the foregoing volumes of this series of English Men of Letters, and in other works of a similar nature which have appeared lately as to the Ancient Classics and Foreign Classics, biography has naturally been, if not the leading, at any rate a considerable element. The desire is common to all readers to know not only what a great writer has written, but also of what nature has been the man who has produced such great work. As to all the authors taken in hand before, there has been extant some written record of the man's life. Biographical details have been more or less known to the world, so that, whether of a Cicero, or of a Goethe, or of our own Johnson, there has been a story to tell. Of Thackeray no life has been written; and though they who knew him, -and possibly many who did not, -are conversant with anecdotes of the man, who was one so well known in society as to have created many anecdotes, yet there has been no memoir of his life sufficient to supply the wants of even so small a work as this purports to be. For this the reason may simply be told. 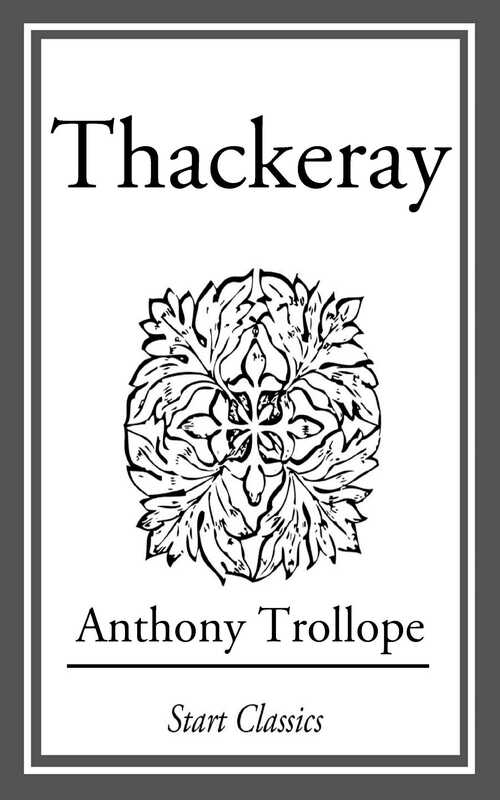 Thackeray, not long before his death, had had his taste offended by some fulsome biography. Paragraphs, of which the eulogy seemed to have been the produce rather of personal love than of inquiry or judgment, disgusted him, and he begged of his girls that when he should have gone there should nothing of the sort be done with his name.